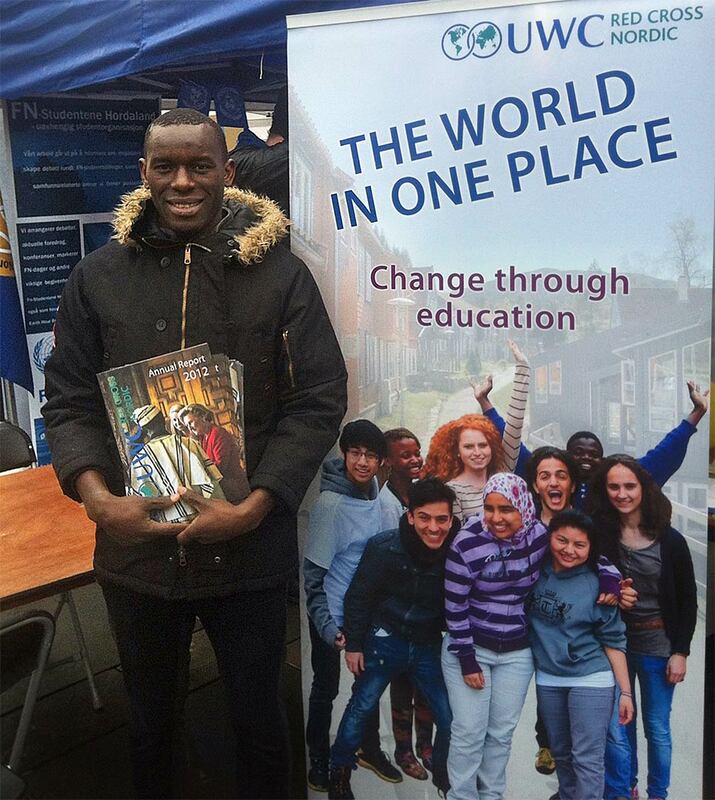 The theme of the autumn-term Global Concerns Day at RCN was “Is UWCRCN sustainable?”. 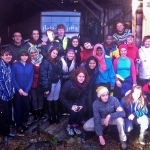 We welcomed some guests – both students and staff – from Aurland Jord og Hagebruksskule and from Fylke. The day started with a musical breakfast and plenary presentations from the guests and staff. That was followed by a variety of workshops; How sustainable RCN is at the moment in terms of energy, food and waste and what can be improved in both the short- and long-term. Some creative and futuristic solutions were presented and discussed. The guests lead three workshops on organic farming and composting. 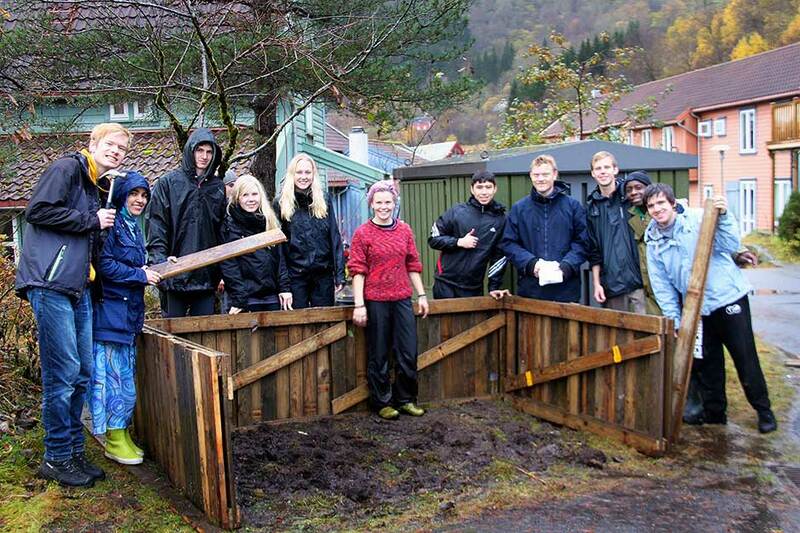 One group spent most of the day in the rain building a compost box. 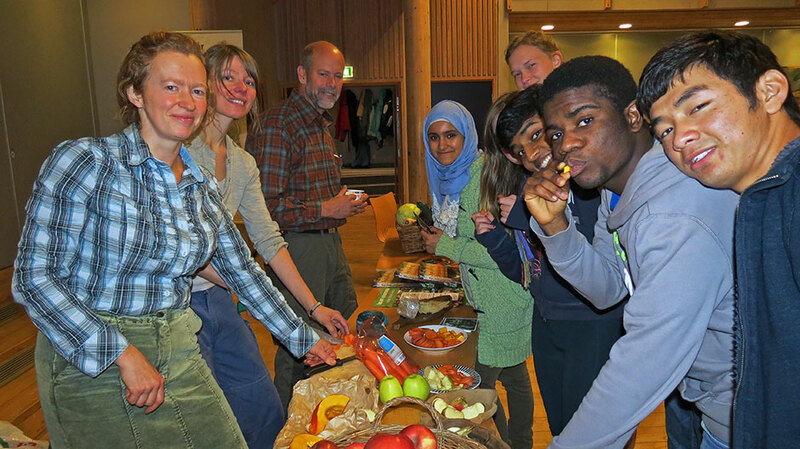 There was also a lively Ecological Fair where the attendees were able to measure their ecological footprint; they measured the energy their gadgets consume; planted a “pet plant”; listened to plant music; ate algae soup; watched innovative videos; discussed future eco-structures at RCN; and tasted wonderful organic fruits and vegetables from the Aurland skule. In the afternoon there was a series of meetings with the Aurland guests and some local farmers about the future cooperation in terms of providing RCN with organic food. Many thanks to all who contributed so enthusiastically to the day, and especially to those who attended the day as guests and workshop leaders. Cultural evening with debate: “Go Roma with us!” How can Roma people be engaged in education to participate in society? Big thanks go to Bergen Red Cross who provided a central and intimate location for the Roma event, and Hordaland Fylkeskommune for financial support. Roma guitarists from Snétberger Academy lifted the crowd with their virtuoso guitar performance, both at the start and the end. 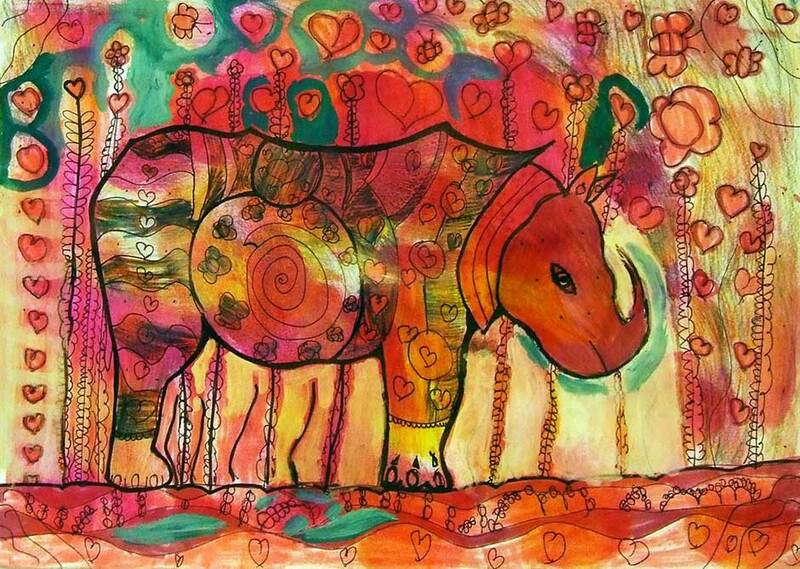 The venue was decorated with the colorful paintings made by children from the Real Pearl Foundation. Veena Gil from the Norwegian Centre for International Cooperation in Education (SIU) provided practical advice on how we can move on to create concrete projects for this theme, which is part of the College’s ambition – to create more opportunities for young people from marginalized backgrounds. guitaristsThe Climate Conference was attended by students from the various Schools at Videregående level in the Bergen region. RCN students Michelle (Venezuela), Bakhita (East Timor), Mahlet (Ethiopia) and Liana (Russia) introduced the whole event, their talk focusing on environmental concerns in their own regions. Many of the invited guest speakers focused on the discrepancy between the seriousness of the knowledge we have on climate changes and what we actually do about it. They were two events which we were very happy to be involved with. 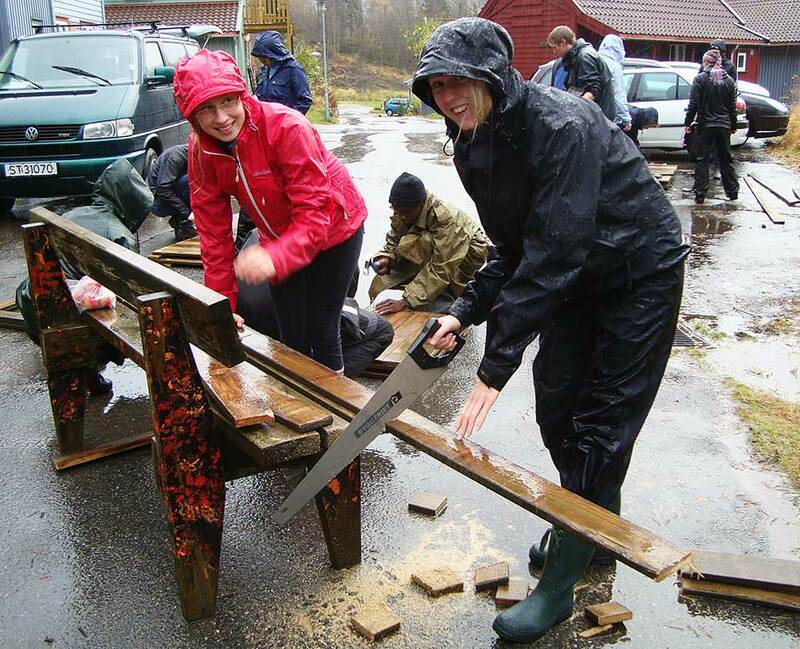 A dugnad is a uniquely Norwegian experience, whereby members of the community come together to work on a common goal. 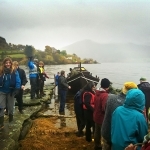 Last Saturday, as part of the Nordic Pillar of the college programme, a group of students were lucky enough to take part in raising a boat, the Bakkejeta, out of the water for the winter, with the nearby villagers of Holmedal. The Bakkejeta is a replica of one originally built in the eighteenth century, to carry supplies such as flour, fish and cows to Bergen. Normally such boats would be jointly owned by several local farms; however, a particularly wealthy farm known as Bakke owned the original boat. The original is in a museum in Førde, so it was obviously built well! In the winter it is important to take wooden boats out of the water, to undertake maintenance and protect them from inclement weather. The RCN students were glad to help out. The day started with a boat ride down the fjord to Holmedal. A scenic half an hour later, it was time to get to work. The first job of the day was to remove the ballast from the boat. Between everyone involved, over a ton of rock was shifted, which is testament to the team work displayed throughout the day. This team work was needed even more later on, when the time came to pull the boat from the water. Under the direction of Øystein, who took charge of the operation, the team maneuvered the boat from the water into its shed for the winter. Even though it was hard work, the team pulled together and succeeded. On the day we were also given a tour round Holmedal, which was a brilliant opportunity to explore the local area. The man (Per Arne) leading the tour had ancestors in the village from the fourteenth century, so there was certainly a lot of heritage to explore! Overall it was a fantastic day out, and a chance to experience some Norwegian heritage. 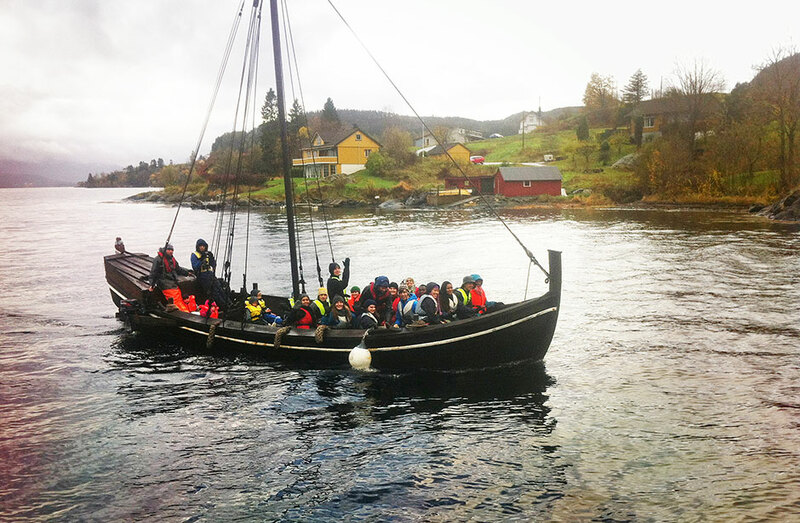 Thank you to Ragnhild for organizing the trip – we can’t wait to help take Bakkejeta out in the spring! Making a stand against evictions of Roma people in Europe and the breach of their right to housing shelter. Design a house-shaped postcard and write a message to the European Commission, supporting equality and rights for the Roma.